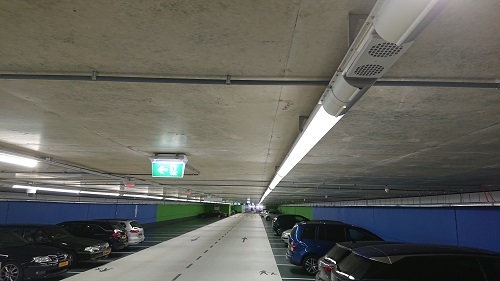 The Parking Prinsenhof in Delft, in The Netherlands, is equiped with BB Lightpipe continuous light lines. 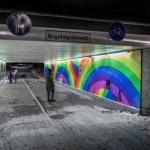 The parking is located underground, underneath a small canal and has 2 levels. The total length of the parking is about 500 meters and has 650 spaces. The installations consists of BB Lightpipe EVO fixtures and integrated audio. Every 12 meters a speaker is integrated in de light line. The customer chose the BB Lightpipe because of the high quality specifications and the high light uniformity. The high quality specs translate into a very low maintenance. 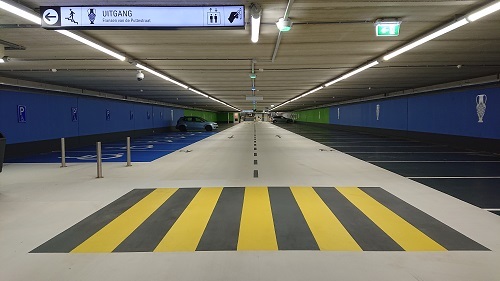 The high light uniformity creates a comfortable and safe environment in the parking. DALI light management is used to dim the light in several sections by the use of motion sensors. 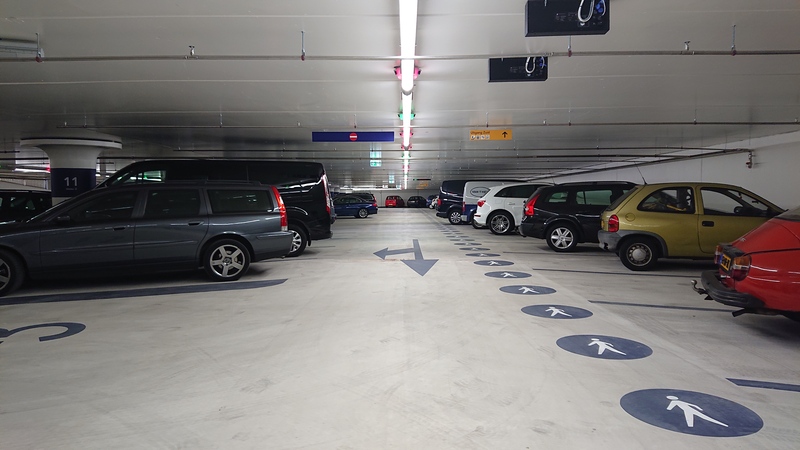 The entrance zone of the parking is switched with a light sensor. With the use of LED technology combined with unique electronics, the programmable dim scenarios can achieve substantial energy savings, reduce the CO2 emission and extend the lifetime of the LED. The BB Lightpipe is fitted with a fully certified evaquation installation. Speakers, wires and isolators are integrated in the light line. The audio integration solution combines superb aesthetics with high quality sound for speech and background music applications.